DESCARTES stands for Détermination Et Séparation par Chromatographie lors de l'Analyse des Résultats des Traceurs Échantillonés dans la Stratosphère and was created for the measurement of long-lived trace gases (CFC-11, CFC-113, CCl4 and CH3CCl3) in the stratosphere by the University of Cambridge. 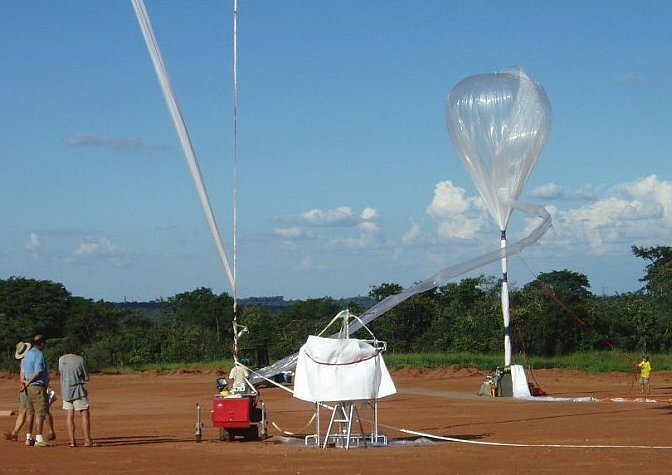 The low weight of less than 20 kg and no need for telemetry make the instrument suitable for being launched on small balloons or fly as piggyback on larger balloons. The working principle is to let an amount of air pass through 16 sample tubes containing a Carboxen adsorbent. A valve allows only one tube at a time to be exposed to the air flow. Trace gases will then be trapped inside the sample tubes while the rest passes through. An on-board computer controls the sampling sequence, and also measures the flow of air, the pressure and temperature, the level of the batteries, and the state and position of the valve. After the flight, the data is downloaded from the computer, the sample sizes are determined and the sample box is connected to a gas chromatograph for quantification. The SF2 mission was the first slow descent flight that was performed during the HIBISCUS campaign. 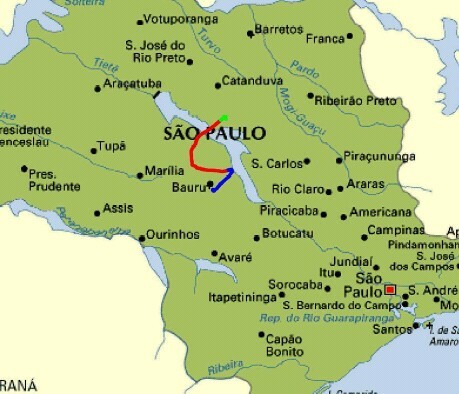 The SF2 balloon was launched from Bauru, Brazil (22.36 S, 49.02 W) at 20:18 UT (18:18 local time) on 13th February 2004. 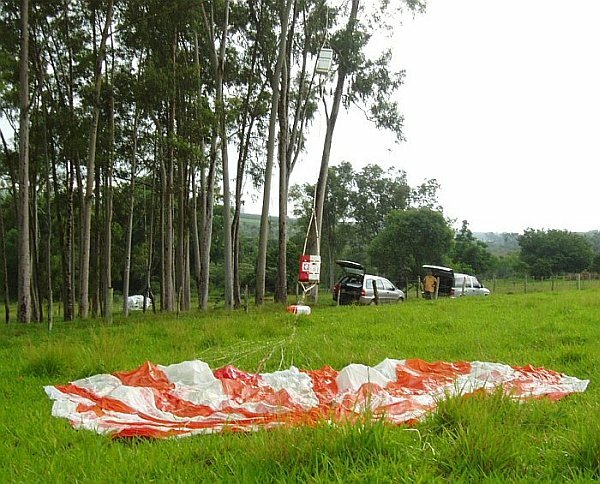 The balloon reached an altitude of 20 km at sunset followed by a 3 hour slow night time descent (initially due east then veering to north east) down to 11.8 km where it was cut down about 40 km south of Catanduva. 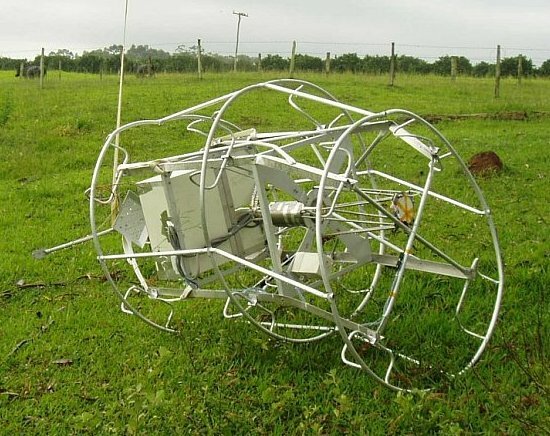 The payload landed about 90 km north of Bauru after a total flight time of 4 hours 39 minutes. As the flight train was partly tangled at the top of a 30 m height eucalyptus tree, it required the intervention of firemen and people climbing on the tree to recover it.